Ahead of Apple’s 2018 Worldwide Developers Conference event, app developers have formed a union calling for fairer App Store policies. The group’s first goal is to advocate for free trial periods for all App Store apps. The Developers Union asks that Apple implements such a policy by July 10 — the tenth anniversary of the App Store. The Developers Union was spearheaded by a cadre of app creators and app industry designers, including Brent Simmons, Jake Schumacher, Loren Morris and Roger Ogden. It is not a traditional “union” in the strictest sense of the word. (At least, not yet.) According to a recent WIRED profile of the group, it’s only loosely-formed thus far — and it has yet to implement firm membership requirements or collective bargaining strategies. Still, their aim is to bring developers and supporters together to advocate for the aforementioned “community-driven, developer-friendly” policy changes. The short-term goal as far as awareness and membership is to gain a thousand new members this week, and 20,000 by the time that Apple’s June developer’s conference takes place, the team told WIRED. App free trials have long been a requested feature from app developers. While the App Store does currently allow subscription-based apps to offer free trials, no such option exists for non-subscription apps that cost money. In other words, app consumers have no way to try out expensive, one-time-purchase applications before buying them. While this obviously applies to iOS, it’s been a particularly pressing issue for Mac developers. While expanding free trials to all apps is the Union’s most immediate and specific goal, it’s also advocating for a fairer revenue cut. Apple currently takes a 30 percent cut of all the cash that developers make from the App Store. 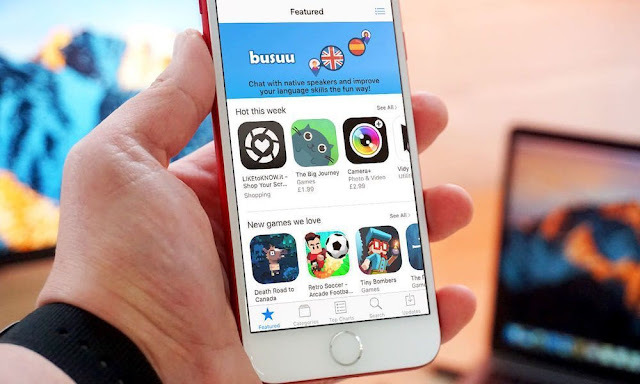 It has made some changes to that policy in recent years, offering a lower 15 percent cut which incentivizes developers that get customers to maintain long-term subscriptions. The Union has yet to highlight or outline any specific revenue split strategies that it would like to see. Presumably, that’s because the group seems to be focused on bolstering its ranks and advocating for free trials in the near future. As of the writing of this article, 50 individuals and 60 applications have lent their support to The Developers Union. Interested parties can learn more about the initiative — or sign up to support them — on its website.